My absolute favorite YouTuber recently released a video of "5 Games that Changed My Life" and I've been thinking a lot about it ever since. 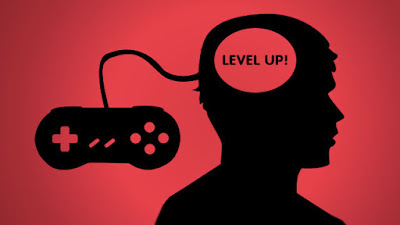 It's pretty well accepted nowadays (thankfully) that video games are indeed an art form, and as such, this form of media is incredibly capable of challenging/changing somebody's way of thinking and even lifestyle. I will be focusing on games that changed my philosophies, my personal creeds or even helped shape my future in a physical way. That being said, it's important to mention these 5 games are not necessarily my top 5 favorite games, if anything there may be games on this list that I wouldn't even consider a personal favorite. I would also like to note, a list like this is incredibly personal and may not make sense to everyone. The ideas presented in these games had a direct effect on my way of thinking, or directly help carve a path in my lifestyle and I can't even say that if you were to play these games you would get close to the same experience. That's the beauty of art, it can mean so many different things to many different perspectives. So let's get started! I think every "gamer" has a game like this, the incredibly nostalgic perfect game that holds up even to this day. As I said before, not all of these games are a personal favorite, but Ape Escape is. Ape Escape is the first game I played over and over, it's the first game that challenged me deeply and the first game I ever beat 100%. 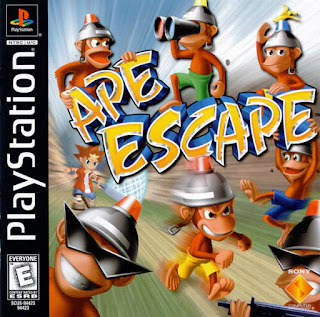 I wanted to avoid writing a nostalgic love letter to the SCE Japan Studio title, but I think that's one of the strongest lures Ape Escape has to me. The game released in May of 1999 and my big brother Christopher and myself received it as a gift for Easter. It took me many years to 100% Ape Escape, but it's a game I always went back to and genuinely enjoyed. Ape Escape is probably the game responsible for setting me on the path of loving video games as more then a hobby. It's hard to say for certain, but without experiencing Ape Escape I may not appreciate video games the way I do today. I first played FFT at a friend's house when I was around 11. I played one mission smack dab in the middle of her playthrough and I honestly was not enthused. She assured me "It's different when you play from the beginning." 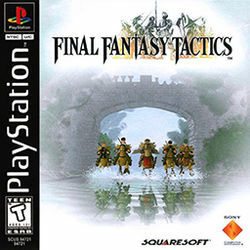 I've played other JRPGs and of course other Final Fantasy games, but FFT is something I skipped over until it had so much praise from all of my peers that I felt I was missing out on something. After begging my mom to buy it for me, I got completely and utterly obsessed. I've played JRPGs like Legend of Dragoon, (thanks to a fifth grade encounter with Taggles) Lunar 2, Suikoden, Final Fantasy 7, etc, etc. However, FFT struck the magical nerve and it completely set me on the path of Japanese Role Playing Games, which has since become my favorite genre. FFT made me focus more on the narrative side of gaming and I would talk to my teachers about character development and the political disarray present in FFT. I really started to think about the blurred lines of "right" and "wrong" and perspectives on top of other social issues presented in the game . I would go to Jervis Library and take notes on how to build a better party after being crushed over and over in a mission. I would spend time on GameFAQs forums discussing the story line. In a way FFT opened my eyes to how different gaming was in the East, and how many people out in the world love these types of games. I remember posting on the GameFAQS forums that I was a 12 year old kid completely in love with FFT and I wanted to play more games like it and other users were very willing to discuss things with me (and they were pleasant!) On the narrative front, FFT was probably the darkest game I've played up to that point and really stuck with me, directly influencing the types of literature I read for the years to come. 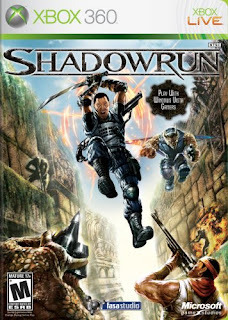 Shadowrun is a game many people may have not heard of, but in early high school it was a major priority in my life, and a personal point of growth. At this point in my life I was willing (and able) to play almost any game I could get my hands on. I would get up for school, go to work directly after school everyday for 3 hours, then go home and play games until late at night, basically every single day. We game hopped like crazy, absorbing as much as we possibly could. I look back at this time period with pleasant nostalgia but at the same time I can't help but laugh. Despite doing well enough in school and working a decent job, this time period was strange. I amassed the majority of my Gamerscore during this time period. I remember my mom thinking I had an "addiction" problem! Amidst this time, we came across Shadowrun. We played Shadowrun like crazy, almost every single night for months on end. We slowly started to amass pools of people to play with, and ultimately it got to the point where we were considering looking into competitions. This was a time before eSports were well established, but there were still forum tournaments and even small MLG exhibitions as well. Shadowrun was the first game I ever played where I craved competition so aggressively, which carries many lessons. I learned about patience, communication and I'd go as far as saying I learned a lot about purpose. As personal as it is to write, high school isn't easy for everybody. I had an excellent group of friends and overall a good experience, but I think it's fair to say the view from fifteen can seem very rough. Shadowrun helped me through the grind of school/work/homework/miscellaneous high school drama in a way that I felt was pretty productive, especially considering some people's alternatives. I felt incredibly determined to get better at the game and we continued to play Shadowrun on and off for years. Unfortunately, the competitive scene fell through and never took off, but to this day I keep in contact with some of the Shadowrun greats. Shadowrun also introduced me to the man I would end up considering a personal mentor, who helped me grow the most as a person. I suppose, in summary, I would say Shadowrun was partly responsible for creating and strengthening some of the most important bonds of my life. 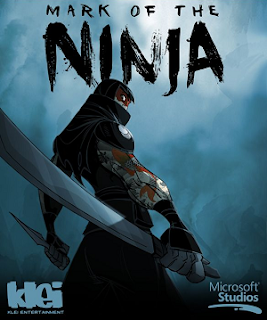 Mark of the Ninja was another one of those lesser known games, originally releasing as an XBLA title. The first way Mark of the Ninja effected me in a tangible way was completely blowing me away. I've played a ton of games up to this point (as mentioned above) but very few floored me in the way that Klei's indie stealth game did. Mark of the Ninja forced me to pay a whole lot of attention to indie developers and their games by pushing out a title that made AAA stealth games look like jokes. Most importantly, Mark of the Ninja was the first game I ever wrote about in length. Back in LAN Mob's early development stages, Bossman was starting to put together a digital brand for LAN Mob around the same time I was experiencing Mark of the Ninja. I opted to write a review at that time, and while I feel my writing has improved ten-full since, I was incredibly proud of what I managed to write back then. Mark of the Ninja inspired me to write a few more things in the future, and kicked off my interest in really simple gaming journalism. I even wrote some stuff for our RFA's Knight Times! (My high school's student run paper). Whether I liked it or not, it seemed League of Legends was destined to become a massive part of my life. I play League A LOT, with occasional breaks here and there. Whether it be LAN Mob, watching streams/eSports, theory crafting or even laughing at stupid League memes, I never would've imagine a single game could get so big and relevant, even when I'm not playing it. 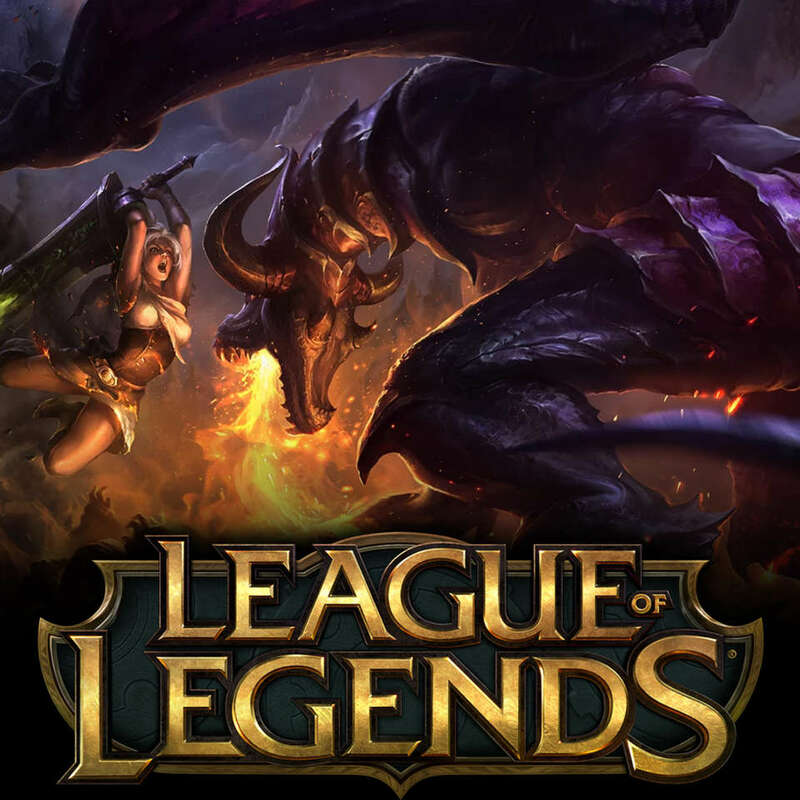 I've watched a plethora of eSports before League of Legends (mainly fighting games) but League and Riot made the entertainment option even more well known, and it all happened during my short lifetime. League seems so monumental and I'm thankful to have been able to experience it's massive rise, and to have played the game since around Season 3. League also has a massive effect on my everyday micro life here at LAN Mob, whether it be playing with regulars, helping to keep everyone up to date with the game or even just to be somebody to talk to about the game, League is like a common denominator around here. Personally, I wouldn't trade my nights of grinding League of Legends with Slooze and my other close friends for anything. 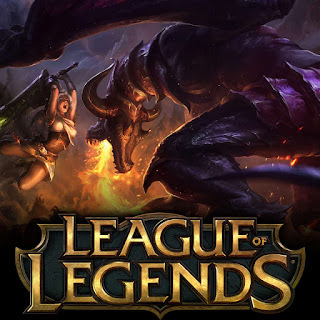 I have so many distinct memories of playing League around some of the biggest moments of my life. As I said, this list is pretty personal, but it was pretty fun to think about. I can think of a few more off the top of my head, but all 5 of these games helped me become the person I am today, for better or for worse. So what about you? What games have directly effected your life? Let us know! Thanks for reading!